As you may have read last week, the Streaming Media East conference is expanding its coverage in 2018. That doesn’t mean we’re getting rid of anything, and that means that both the Content Delivery Summit and the Live Streaming Summit will return to Streaming Media East next year. The Content Delivery Summit is a one-day event held on May 7, the day before Streaming Media East, that brings together CDNs, carriers, telcos, ISPs, and premium content owners for an in-depth look at the technology and platforms being used to deliver web content. This year’s Summit will be chaired by Jason Thibeault, the executive director of the Streaming Video Alliance, who works on a daily basis with the companies that are changing the way video and other web content are delivered to consumers. If you’re interested in speaking at the Content Delivery Summit, you can submit your proposal at the call for speakers page or contact Jason directly at jt@streamingmedia.com. The Live Streaming Summit does exactly what it says on the tin. It’s the only event dedicated exclusively to exploring the challenges and opportunities that live streaming presents, and it runs parallel to Streaming Media East on May 8 and 9. This year, the event will be chaired by Corey Behnke, co-founder of LiveX, which is responsible for high-profile, high-pressure live streaming of events like the New Year’s Eve ball drop in Times Square. Corey has more than 15 years experience in the field and has spoken at several previous Live Streaming Summits. "Live streaming is becoming ubiquitous across every industry and remains red hot in 2018,” says Behnke. “The challenges of transmission, new IP standards & distribution models, content delivery across devices, and developing for today's consumer expectations are becoming more complex every day. The Live Streaming Summit is the premier event dedicated to helping you solve the everyday challenges you face before, during, and after you go live. 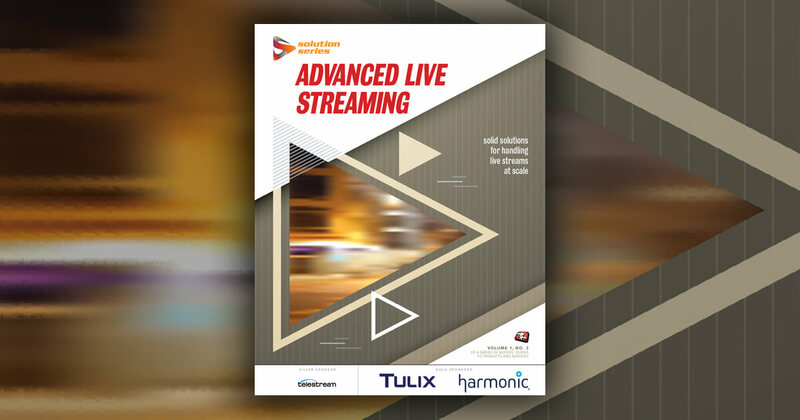 This is a must-attend show for technical and business decision makers whose jobs depend on delivering successful large-scale live events and live linear channels online." If you’re interested in speaking at the Live Streaming Summit, you can submit your proposal at the call for speakers page or contact Corey directly at corey@streamingmedia.com. To submit speaking proposals for the rest of the Streaming Media East events, visit the main call for speakers page or contact Streaming Media VP and editor-in-chief Eric Schumacher-Rasmussen at erics@streamingmedia.com or 920-342-6263. Interested in sponsoring any of these events? 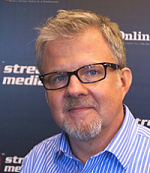 Email Streaming Media VP and publisher Joel Unickow at joel@streamingmedia.com or call 250-933-1111. Registration for all events is now open. Be sure to register early for the best prices on individual events and combination passes.